A recent one started anew, again no wiring as I like the natural shape of the plant so far. Waiting for new growth to see what it gives me. 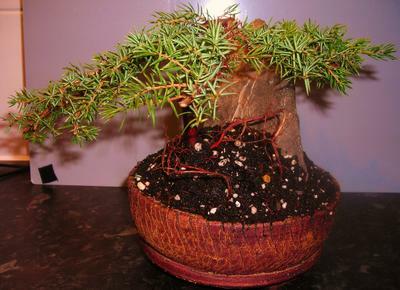 All stone/rock used in my bonsai is sourced locally from Cheddar Gorge rock fall fragments.